The springs in this setup are to operate with Solid roller cams up to .710 lift max total. PICTURED ABOVE ARE OUR FULLY CNC'D AFR HEADS. The information below pertains to our testing with the AFR 210 heads. This sale is for the a set of 220cc heads setup for solid roller cams. From what we have seen on the flow charts the 220cc heads do slightly edge out the 210's but not by much. 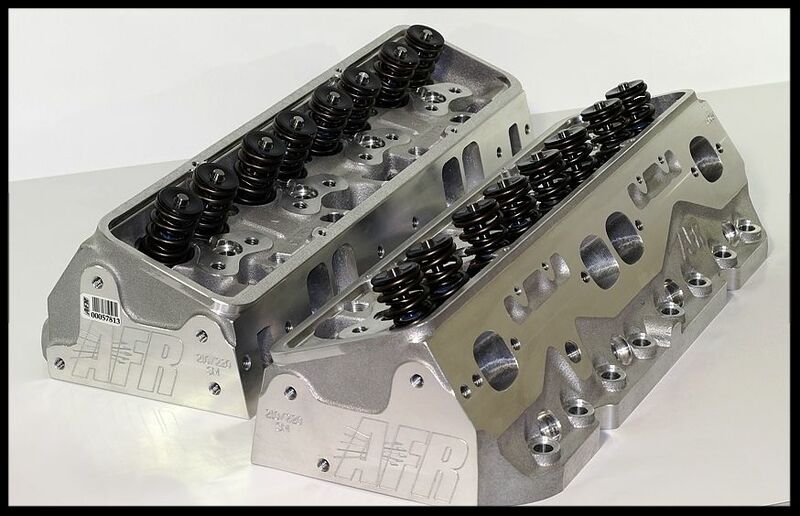 We suggest using the 220cc heads on very aggressive setups coupled with cams in the 600 lift or more range, with higher amounts of duration than what is common in most street rods. These heads will most likely prevail when ran hard. We have not done any testing yet on the 220's but they are sure to make excellent power. These heads may be on the larger than needed side for most hyd. 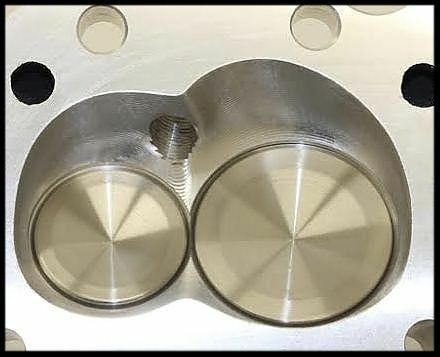 roller cam builds, but should you ever decide to increase your cam and or cubic inch on your engine, you would not be out growing the 220cc heads for certain. engines in the 10:1 to 10.5:1 compression range, give or take. We also did an aggressive 406 build with the 210 heads. Normally we use the 195cc heads on the 406 but found the 210's suitable due to the cam size of this one particular engine. All ran on pump gas. Our 421 through 434 engines add have a selection of four different cams and these engines all come with AFR heads and this has given us a great opportunity to see how they performed. We were able to test several different cam setups with these heads. 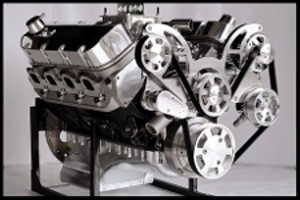 This will give you an idea on what these heads are capable of with a given combination of cam, intake, rockers, and carb. This may also help you select a proper cam for your build. We feel the 210cc AFR heads would perform very well on a medium to aggressive 421 427 or 434 build or a somewhat Pro-street 406. As mentioned, below is just an excerpt from our 421-434 ads. If you're using a lower lift from those listed below, then it would be fair to say the hp will drop, but not by much, providing your lift and duration are somewhat close to any of the cams mentioned below. 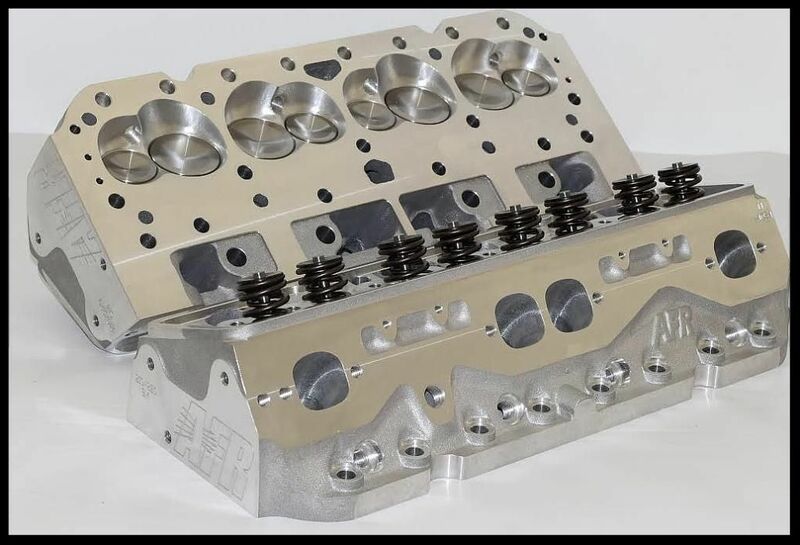 This will give you an idea of what kind of power to expect with these heads, and it can certainly help you choose a cam and intake. 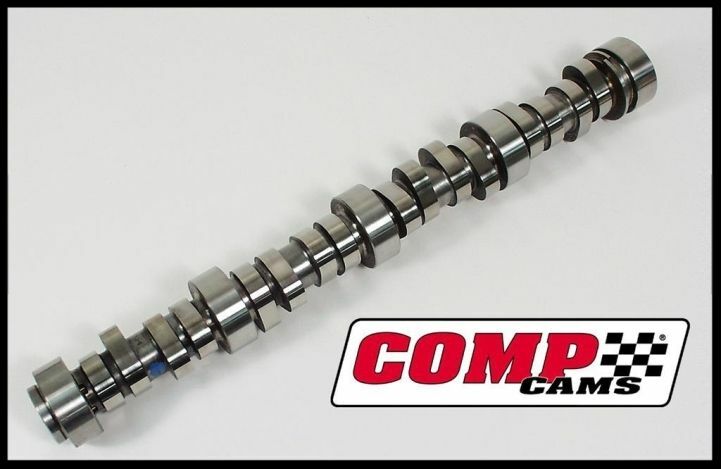 Comp Cams SBC Xtreme Energy Step Nose Hydraulic Roller Camshafts. These particular heads are for a solid roller setup, not a hyd. roller. 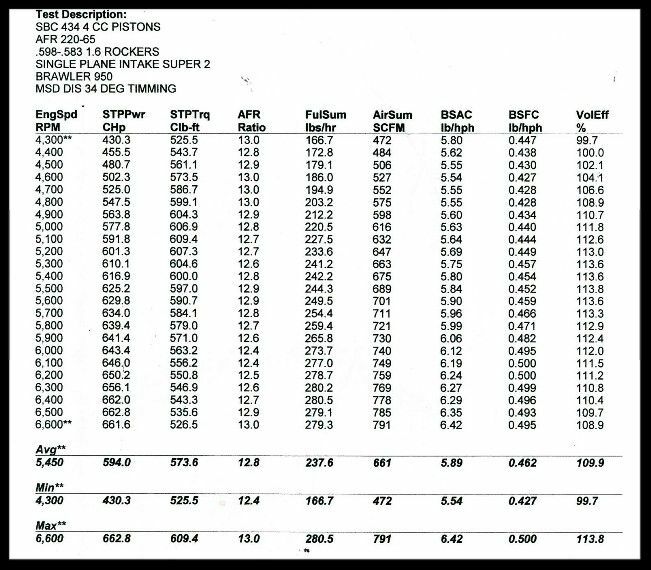 The dyno info below is just to give you an idea of what power may be obtained from these heads with a given cam size. As of 9/15/2013 we have completed installation of our brand new Super Flow 902S dyno. In the past we have outsourced our dyno work. Never being able to do the research and development we truly wanted, prompted us to make the $105,000.00 investment. Needless to say it's been the best investment we have ever made. Every aspect of our engines can now be monitored, calibrated, tuned, and best of all see what combos make the best power, with consideration to drivability. One thing we have noticed is that the de-tuned engines with different cam and intake combos certainly do have less top end horse power as expected but the torque increase in the low rpm range is much greater than the higher horse power setup. 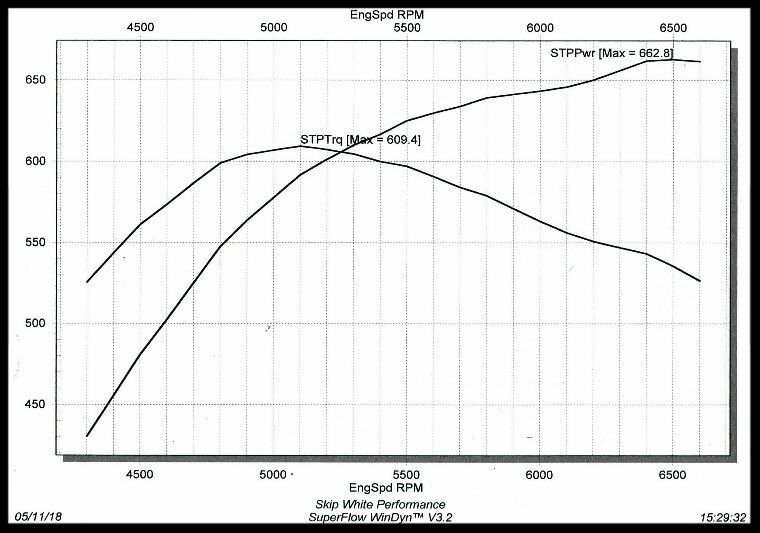 This increase in torque down low is what you want if your sporting around on the street, rather than all out racing. The de-tuned version of our engines will also allow you to set the car up closer to stock and increase drivability to a very high degree. Throttle response is also noticeably better. One of the worst mistakes you can make building up an engine is to get a mismatched combination of parts. We know about combinations and how they work. Take a test drive in a car with over 400hp vs. a 300hp or less and you will then see what youâ€™re missing. The exhaust sound under load is very pleasing. We are very pleased with everything about the AFR heads. Few if any of the others know much about the correct way to setup a set of cylinder heads. Not compatible with self-aligning rocker arms.